I’m really pleased to welcome Sarah Broadley to the blog today. Sarah lives in Edinburgh where she co-chairs the South East Scotland network of the Society of Children’s Book Writers and Illustrators (SCBWI), she also reviews middle grade (8-12) books for http://www.mybookcorner.com.au/ and was a Story Shopper at Edinburgh International Book Festival last year. Sarah splits her time between writing picture books and middle grade stories and working part-time at the Edinburgh Children’s Hospital Charity. I think she deserves a prize for the most unusual guest post title I’ve featured so far! Read on for an explanation. Are you a meticulous planner of chapters, characters and plot? A master of post-its and spreadsheets that map out every miniscule detail? Or are you like me, a ‘let’s just see where it takes me’ kind of writer? I am a very organised person. I don’t like mess or clutter, especially in the immediate area of where I happen to be jotting down words in the hope they resemble something passable as literature. I’m also known as the ‘spreadsheet queen’ by my family, as everything I do is planned within an inch of its life. So why do I not use this trait when it comes to my writing process? I tell you why. Pandas. Pandas are my favourite animals. As most of you are aware, Edinburgh Zoo now have two pandas. I’ve been to see them many times and I am still convinced to this day that the male, Yang Guang, is really a human wearing a panda suit. I must have stood for hours watching him as he lolled about his straw bed, arm over his head, chilled out as if he’s about to crack open a beer. So laid-back, so ‘I’ll get round to that tomorrow’. I have been obsessed with pandas ever since. They are very human-like in their movements and expressions and I love their ‘meh’ kind of attitude. Sometimes life can be pretty hectic so when it’s all getting a bit much, I ask myself ‘what would a panda do?’and I know exactly what to do. I relax in my non-bamboo filled sofa and breathe. 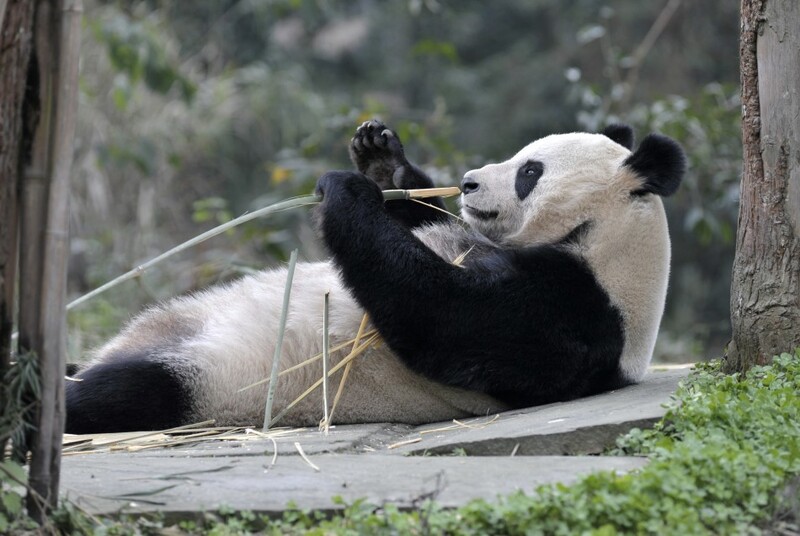 You may wonder what pandas have to do with the way I write but here’s the thing – I am a pantser. A writer who never plans her stories. Flying by the seat of my proverbial literary pants. I am a panda in a writer’s suit. Sometimes I am relaxed to the point of napping but then that never gets you anywhere so I put the kettle on and get back to it. I usually start with the title, odd I know, but that’s what normally pops into my head first. Then the main character makes an appearance, a bit like a late-comer to a party but always welcome and I secretly hope they stay late and don’t head off in a taxi when the sun comes up. The setting then says hello, usually after I start the first chapter. It blinds me with weather patterns and street names as I start on my journey but at least I now have a sense of where my characters belong, where they might call home. I will normally hit a junction. I join Dorothy as she walks along the yellow-brick road on her way to the wizard. Which way should I go? Left turn – the book is set in a fictitious land, right turn – the main character is 12, no… 10, no….agh or straight ahead – boy or girl? There is no wicked witch for me to fear but I really would love a pair of ruby slippers. They would go very well with my writer’s uniform (also known as jammies). The questions I set myself as a writer certainly add to the tearing out of hair, the head in hands and the copious amounts of tea I drink. But they are needed, they are my conscience speaking to me, making me aware of pitfalls, constantly whispering ‘are you sure’, in my ear. I am also known for leaving a trail of half-finished cups of tea around the house as I go for a wander to solve plot holes. They are a necessary part of the process, just like athletes need water, I need tea. I think whatever traits you have as a writer don’t really matter and to be honest shouldn’t matter, as long as I am able to write THE END at some point in the future then the literary world is my tea-drinking oyster. What’s for you won’t pass you by. A motto I like to follow as it gives me hope that my witterings might actually turn into something good enough to submit. I sometimes feel sorry for the unsuspecting agent/publisher who thought they were outwith my radar, I mean well, I really do. No pandas were harmed in the writing of this post. Tea anyone?